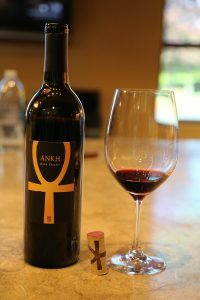 ANKH Wines was founded by business partners Scott Ptacek and Mark El-Tawil with their first release coming in 2007. Scott and Mark met while working in the healthcare industry (both still are involved in the healthcare field). Scott lives in Manhattan in New York City and makes the trek out to the Napa Valley a number of times during the year especially during harvest and for major wine making decisions (fermentation, blending times etc). Scott grew up in Kansas City – while he didn’t grow up on a farm, he had friends who owned farms and part of his personality was drawn to agriculture from an early age. 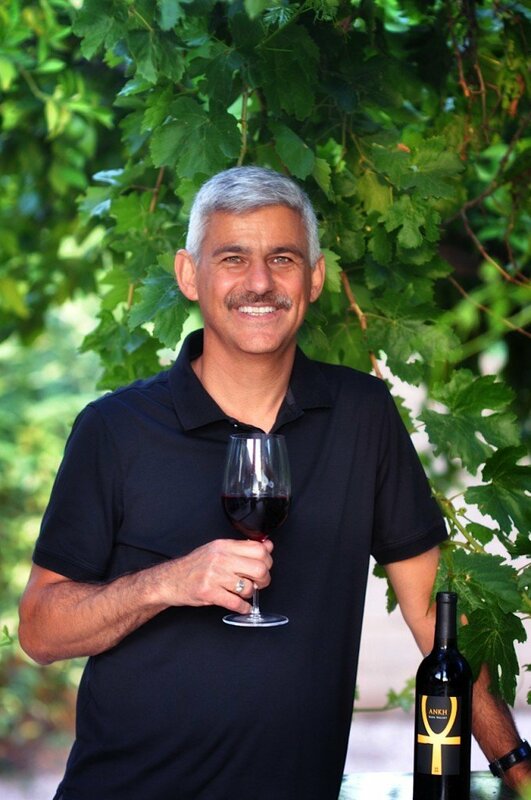 His interest in wine began when he tried a California Zinfandel. He and Mark started out as wine enthusiasts, often buying cases of wine and then splitting them. Scott’s initial interest in wine making was educational; focusing on the various details and steps to create a premium bottle of wine. Their first vintage was supposed to be a one off proposition – to learn the process and have fun doing so. However they realized they had produced to much wine for both to consume on their own. The first few vintages were made at Crushpad (no longer operating). 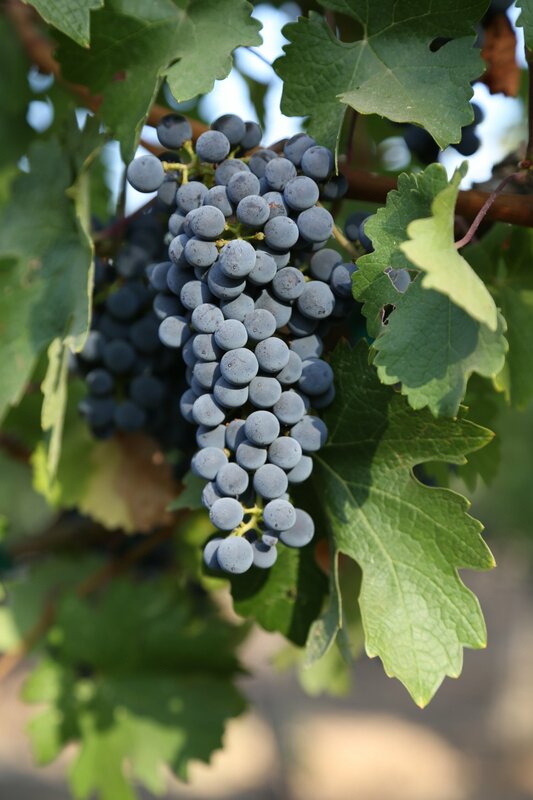 Crushpad originally handled all the vineyard sourcing; often vineyard sources were inconsistent (IE a vineyard would sell and they would no longer have access to that fruit). After Crushpad closed, Scott moved over to The Wine Foundry. Scott works closely with the wine making team at The Wine Foundry including head winemaker Patrick Saboe – in the end, Scott is responsible for the final blending decisions. In 2014 Scott stopped relying on others to source grapes for his wine and began to work directly with growers for small lots of grapes. He has found he has more control of the fruit this way and can ensure in some cases he has consistent access to vineyards each year. 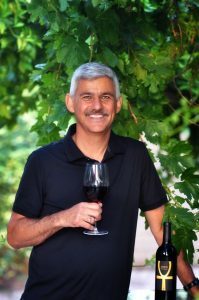 Their wine style has changed somewhat since they started – Scott tried a 1974 Caymus Cabernet Sauvignon and realized how well that wine had aged over the decades. He tends to gravitate towards wines that are slightly lower in alcohol, have good acidity and pair well with food. 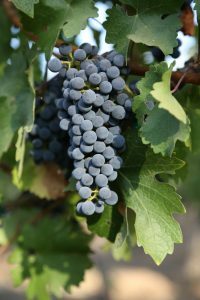 As a result he works with growers to harvest at a slightly lower brix then perhaps is normal these days for red grapes – often in the 23-24 range. Neither Scott nor Mark wanted to put their own names on the bottles – so based on Mark’s interest in history and part of his family heritage, they decided to use an Egyptian symbol – the ‘ankh’ (hieroglyphics) which in Egypt represent a spiritual eternal life. The only other wine they produce each year is El Nile – referring to the Nile River, the physical life force of Egypt. Granted we tasted wines from different vintages, but ff these two wines were categorized as feminine and masculine, the 2012 ANKH is arguably a more feminine styled wine then the 2013 El Nile. 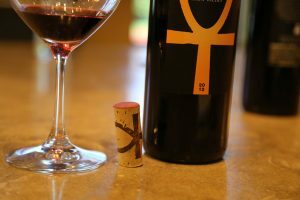 The blends for both wines change each year but the ANKH is always a Cabernet Sauvignon and in later years El Nile has been Merlot based. The wines are usually aged for 2 years in bottle before being released. The 2012 ANKH is 86% Cabernet Sauvignon, 9% Merlot 4% Petit Verdot and 1% Cabernet Franc. The bouquet is vibrant with noticeable sweet aromatics focused on the grapes rather then any secondary characteristics from the oak. Sweet plum and red cherry. Very approachable on the palate with a soft plush entry. More red fruit then darker fruits on the palate including plum and cherry. Medium bodied, the tannins are not harsh but linger for some time. The 2013 El Nile offers an intriguing bouquet that is highly layered and continues to evolve wonderfully in the glass over time. At times its meaty and savory, there are hints of leather, tobacco smoke – with subtle aromas of brown sugar and even coffee grinds. The fruit shows mostly darker on the bouquet including notes of black licorice. It has aromatic depth. On the palate it is balanced with flavors of blackberry and broad shouldered long lasting tannins anchoring the finish. Pleasing acidity. ANKH has little to no retail distribution – total production each year is only around 250 cases of the two wines. The wines are sold direct – through friends, family and contacts that both Scott and Mark have made through years working in the healthcare world. 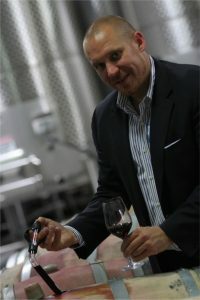 Scott also participates in select tastings (both consumer and trade) for additional outreach.